Smart 100 is plug and play version that allows you to take advantages of your own remote control. 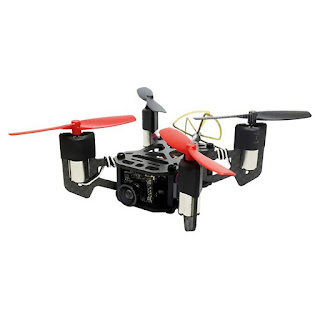 In this way, you can easily take the mini and sturdy quadcopter and fly it at any time! The premium carbon fiber frame is sturdy and light. More importantly, its modular components greatly facilitate the replacement. You are able to enjoy the fascinating 600TVL HD aerial view on any FPV monitor in the real-time thanks to the 5.8G fast video transmission frequency. The copter only weighs 55g, making 5 - 7 minutes' flying a matter of course. Additionally, the 25mW transmitter is power-saving and can also contribute to the longer flight time of the drone. Smart 100 offers you a flexible way - you can either purchase or make use of your own devices, such as radio transmitter and FPV monitor. Be 100 percent smart in making the decision.